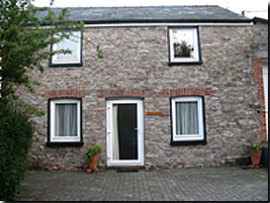 Members of the Society of the Sacred Heart came to live at Llannerchwen in 1979, inspired by one of the sisters, Joan Scott. Her own two year experience living as a hermit led her to recognise the need for a place where people from all walks of life could have the opportunity for a time of solitude and silence, receiving spiritual accompaniment if desired. 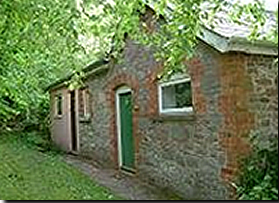 bungalows were constructed, and what had originally been a cowshed was converted into a small chapel. The Shaplands, together with a laywoman, set up and ran a small retreat centre here. When they retired in 1979, they made the property available only to those intent on continuing the spiritual purpose of the place. Silence and solitude remain at the heart of what is offered at Llannerchwen. For this reason, several individual cabins have been constructed since the early 1980’s, and, more recently, all remaining retreat accommodation has been adapted so that each retreatant now has a totally self-contained space.